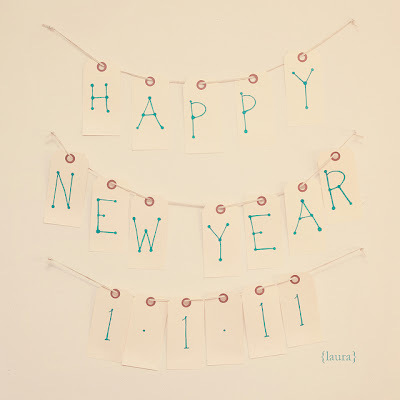 Haute Whimsy: Happy New Year! Happy New Year! I'm excited to have made it through the holidays (you may have noticed my half-month hiatus due to a dreadful cold/flu thing), and I'm ready to experience all the good that I'm convinced 2011 will bring! Over the past couple of weeks, I've also picked up a fantastic new hobby: painting! I tried my hand at the art a few years back and loathed the experience. I guess it was just bad timing. I now have two completed works and 14 other blank canvasses of varying size waiting for inspiration to hit. What is it that you want from this new year? *P.S. Do you have any idea as to how I can get large paintings digitally scanned so I can have prints made at a later date? The quote from Kinkos terrified me, plus they wanted me to remove the frame from the canvas (not sure if that's the norm)! maybe try Office Depot? My mom takes her water colors in and has them printed out as cards there.